Hello Crafters. Hope you are having a great week. This was so fun to put together! 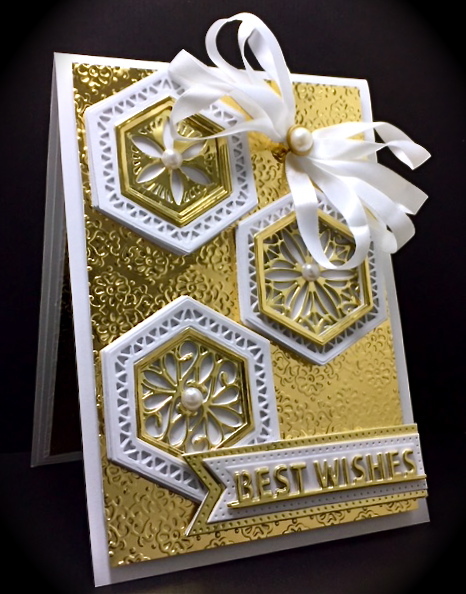 Just multi-layer the various cuts from the different sets for creating these fun hexagon medallions. 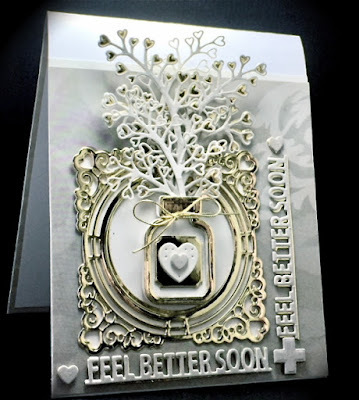 Accessories: Creative Expressions Cutting Dies by Sue Wilson; Shadow Box Coll Feel Better Soon, Special Occasions Coll Ornate Framed Happily Ever After, Finishing Touches Heart Spray Die. 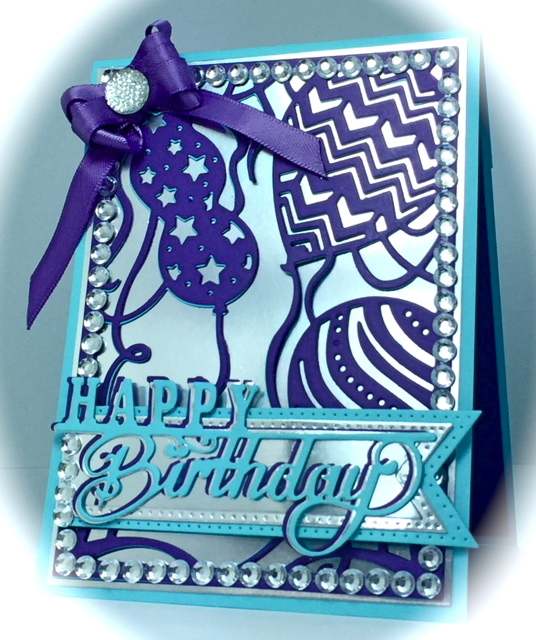 Accessories: Creative Expressions Cutting Dies by Sue Wilson; Frames & Tags Pierced Flags, Expressions Happy Birthday, CE Gem, B-day Balloon Die by other company (unknown), adhesive Rhinestones from Dollar Store. AREN'T THESE FUN? 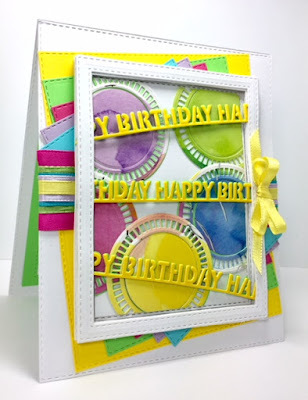 YOu can create so many different styles by trial and error. Simply take your dies and play with them until you find your own unique ways to use them together for different looks. For TUTORIALS by Sue herself, visit the Creative Expressions YouTube Channel HERE. Gorgeous designs! Love so much especially the first one! your so great with those dies and designs. I love the colours you have used.